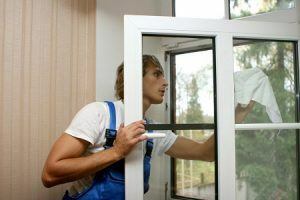 What makes Fast Window Cleaning London special? There are many aspects of our company that make us unique. For instance, we utilise an entirely client-oriented approach, which means we will meet your every need and requirement. We don’t believe in the one-size-fits-all methods, so we will tailor our window cleaning service to your specifications. That way when our window cleaners arrive at your property, they will waste no time and effort dealing with the job. We have found that to be the best way to deal with any cleaning challenge and the reason why so many clients trust us. You too can find out just how effective our service is by contacting us on 020 3322 8261. We promise that you will be quite impressed with the outcome and want to hire us again! Everyone can now benefit from our expert services. All it takes is one email or a single call on 020 3322 8261 to book. Just share the details of the job, such as location, the number of windows and special requirements, and our experts will be on the case. You don’t need to worry about your budget since all of our window cleaning services lean on the price-friendly side. This means that you can benefit from our expertise even if you have budget restrictions. Hurry up and give us a call today, so we can work on a special offer, designed to meet all of your requirements. The district of Barnes occupies part of the London Borough of Richmond upon Thames and is located at the most northeast of the borough. This is the part of the borough within the closest proximity of Central London. The high street of the area is definitely the busiest. It features many arts and convenient shopping options. The area is notable for its many 18th and 19th century buildings near Barnes Pond. That part of the district makes a conservation area, where the most of the 19th-century buildings are concentrated. Of the open spaces in the district, Barnes Common is the most notable. It represents 120 acres of open space, designated as a nature reserve. There are 8 churches in the area two mainline railway stations: Barnes and Barnes Bridge. Hire our window cleaning in Barnes today by either calling 020 3322 8261 or fill our online booking form.